From Japan to the UK, the Zipang Casino brings the world of online casinos right to your doorstep… well computer that is. 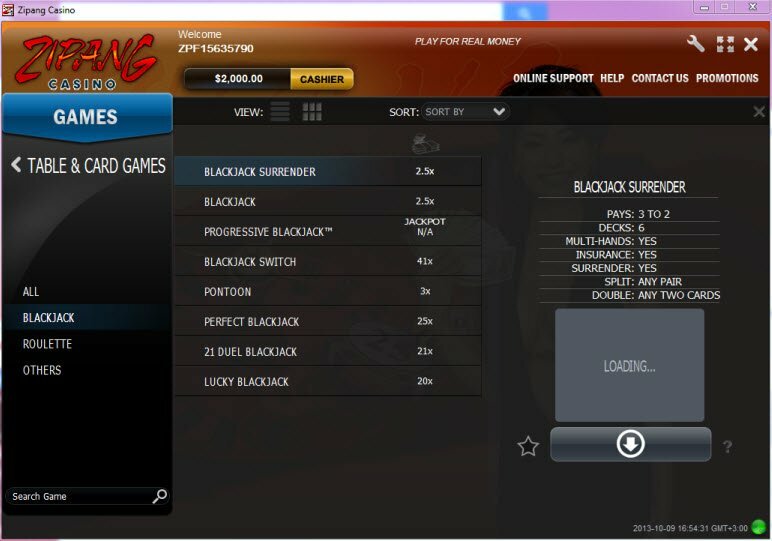 Download the software and choose from hundreds of games including Video Slots, Classic Slots, Live Dealer games, Arcade games, Scratch Cards, and Progressives. Gamblers will love the Asian look and feel of the casino which also features special Asian themed games. The Zipang Casino definitely has an Eastern flare with an offering of Asian games including Dolphin Paradise Pachinko and several varieties of Mahjong. You can also choose among their collection of Video Slots, Classic Slots, Table and Card Games, Live Dealers, Video Poker, Arcade Games, Scratch Cards, and Progressive Games. Be forewarned, this casino only accepts US Dollars for placing bets. In addition, they charge a 2% fee for withdrawing payouts. 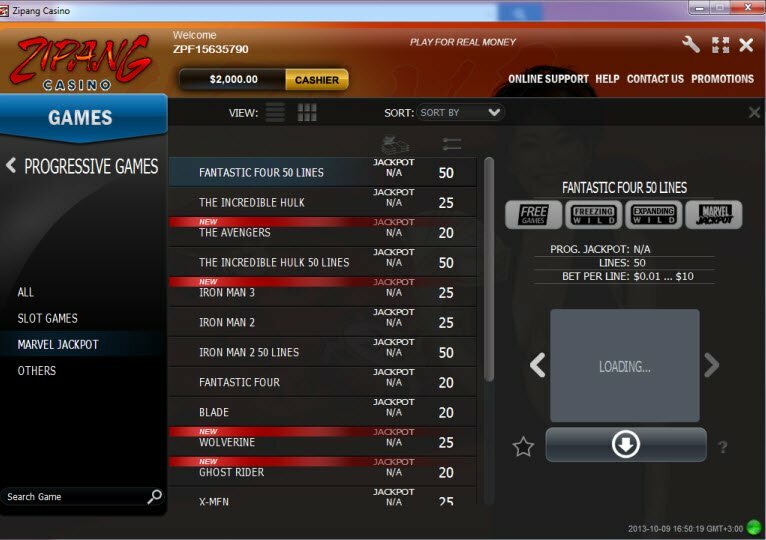 The Zipang Casino software requires that you download the casino interface. Luckily, the software installs pretty quickly. By the time you get up to pour yourself a cup of coffee (or herbal green tea), the casino should be ready to go! Once you enter the casino, you’ll immediately recognize the design typical of all casinos which use Playtech gaming software. I’m personally not a huge fan. However, they make it easy to navigate the interface by organizing Zipang Casino games into appropriate categories or providing a search box to look for a specific game. Browse the casino categories for games such as New Games, Video Slots, Classic Slots, Table and Card Games, Live Dealers, Video Poker, Arcade Games, Scratch Cards, Progressive Games, and Asian Games. Select a game, and then wait until to download Zipang Casino before playing. Zipang Casino accepts a number of different options for placing bets including credit cards, bank deposits, and online payment transfer services. However, Zipang Casino only accepts transactions in US Dollars. The Zipang Casino Online advertises many different promotions on their website. However, it’s only available in Japanese. They don’t seem to have Zipang Casino promotions offered in English (or at least I couldn’t find it anywhere). I simply had the page translated into English using my browser to read about their promotions. This does indicate that an English speaker may hit language barriers when playing with Zipang Casino. According to their website, Zipang Casino offers many match bonuses in which they return a percentage of your bets. Also, anyone who plays in the Real Money Mode automatically enrolls in the Zipang Casino’s VIP Players Club and receives special prizes and bonuses. When playing in the Real Money Mode, you’ll need options to make cash deposits to place bets. Zipang Casino accepts a number of different options for placing bets including credit cards, bank deposits, and online payment transfer services. However, Zipang Casino only accepts transactions in US Dollars. When withdrawing your winnings, you can choose between Neteller, Skrill, and Click2Pay. The process takes 2-4 business days and charges a 2% fee with a free limit of up to $30. The Zipang Casino has an extensive amount of information available to customers who have questions or would like to learn more about the casino. In addition, they provide support via email or customer support in both English and Japanese. The Zipang Casino also offers Live Chat support so you can quickly and efficiently get answers to all of your questions. All of their customer services are available around the clock every day.